Indulge your golf game at the adjacent Arizona Biltmore Country Club, home to two championship courses with views of the Phoenix Mountain Reserve. Book a tee time at The Adobe, a challenging course featuring wide fairways and classic cross-bunkers, built in 1928. 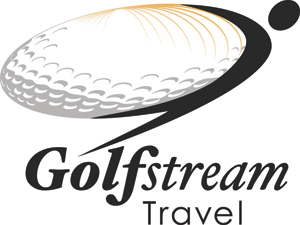 Experience desert golf at The Links with rolling fairways, desert ravines and five lakes which demand accuracy and bold strokes. Arizona Biltmore guests enjoy preferred tee times at both courses. Practice your shots at the resort's 18-hole championship putting course designed by Graham-Panks International, located around the cottages on Squaw Peak Lawn. Improve your technique with private golf instruction with the country club's golf pros. Stay in style and comfort in historic cottages or luxurious rooms and suites. Our accommodations are designed in beautiful calming desert and sky colors. Mission-style furnishings and Art Deco lighting reflect the resort's architectural heritage. 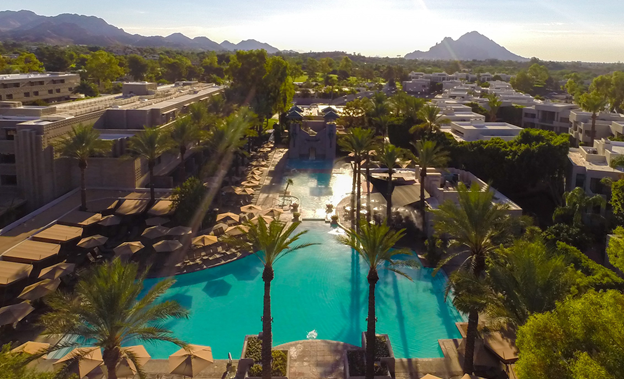 Many rooms and suites offer stunning views of the manicured gardens or Phoenix mountains. Relax on a private patio. Explore the world-class spa and renowned restaurants on 39 acres in the heart of Phoenix. Relax in the sparkling pools, or play a game of tennis or life-sized lawn chess at the Arizona Biltmore. Experience Arizona's 'Jewel of the Desert' which offers a wide array of activities and amenities to please the entire family. Refresh and relax in one of eight swimming pools, including the Paradise Pool with a 92-foot water slide and swim-up bar. Indulge in one of the Spa's organic treatment options or a special conditioning treatment at the salon. Play a game of life-size lawn chess, a Biltmore fixture since the hotel's opening in 1929. For those looking for more challenges and adventures, the resort offers a wide range of activities such as guided mountain hikes, monthly wine dinners and salsa-making demonstrations, as well as dive-in movies. Dine at Wright's on the terrace, a TripAdvisor-rated restaurant. Sample unique American Lodge cuisine at Wright's, the hotel's signature restaurant, or try updated classics at Frank & Albert's, acclaimed for exemplary food and service. Join friends for cocktails and a game of backgammon at Wright's, which has been serving martinis to locals and visitors since the hotel's early days. For a uniquely Biltmore experience, indulge in afternoon martinis and tempting appetizers, or enjoy the more traditional afternoon High Tea. Experience Wright's at the Biltmore, the resort's signature restaurant offering American Lodge Cuisine prepared using local, fresh ingredients. Gather for the renowned Sunday brunch or join guests for a nightly tasting menu prepared by Executive Chef Gordon Maybury in a setting reflecting the organic architecture of Frank Lloyd Wright. Gather with friends over artisan martinis and cocktails at The Wright Bar. Relax on the lounge's open patio overlooking Piestewa Peak. 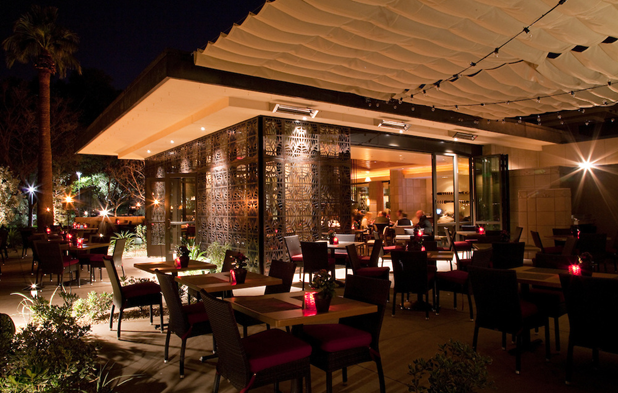 Celebrate the meeting of art, architecture, and community at the Biltmore's contemporary dining spot, Frank & Albert's. The ambiance is influenced by the style of Frank Lloyd Wright and protege Albert Chase McArthur who designed the hotel. Sip an exotic cocktail from the swim-up bar or lunch on a crisp salad while watching the kids play on the Paradise Pool waterslide. 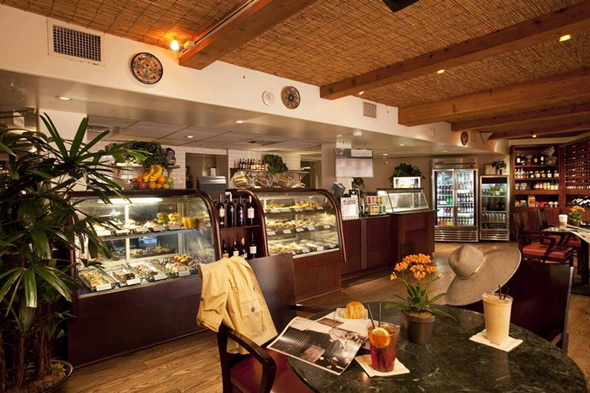 Enjoy a casual breakfast or lunch along with international coffee specialty drinks overlooking Piestewa Peak at the terraced Cafe. Set on 39 lush acres in the heart of Phoenix, Arizona Biltmore, A Waldorf Astoria Resort is one of few hotels worldwide with an architectural imprint by Frank Lloyd Wright. Exemplary Waldorf Astoria service and a historical pedigree meet with luxuriant grounds for an inspired experience. Since 1929, the Arizona Biltmore has offered accommodations, from its stunning Camelback corridor setting near Scottsdale, to the stars of the screen, families, couples and business travelers. Guests will never cease to be entertained and delighted with the array of restaurants and dining options, Spa Biltmore and the famous Catalina swimming pool. Our Phoenix hotel is a 2014 TripAdvisor Certificate of Excellence Award recipient.